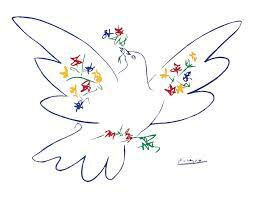 After the tragedy in New Zealand, I must express my belief that love, not hate is the answer. This is the solution to every challenge we face. After many years of wondering about love, I created this definition: Love is the recognition of value. Should we value someone or something, we want to best for the object of our value. It is a projection of the value we hold of ourselves. Thus, anger and hatred are manifestations of the lowest self-esteem. Separated from her family and held in solitary confinement for 43 years. Flavia’s life of misery is only one example of why ElephantRescue.Net stands against the $16 billion dollar zoo industry. The Sun reports that “The female Asian elephant arrived at the zoo in the city of Cordoba in southern Spain when she was three years old, in 1976. “She was euthanised on March 1 after suffering deteriorating health over the past few years. And reports said the elephant was also suffering from deep depression. “The Local ES said Flavia was known as the “saddest elephant in the world” as she was separated from her herd when young. 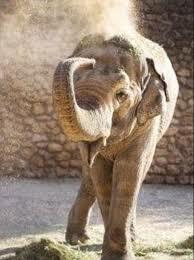 “She was at the heart of numerous campaigns to stop elephants being kept in captivity. Amparo Pernichi, environmental spokeswoman for Corboba, said it was “sad news” for the zoo – particularly those who cared for her. She added: “In the last six months, the physical state of Flavia got worst, but especially in the last two weeks.” Pernichi said when the elephant was struggling to stand up, she was initially given a sedative. “Once Flavia had fallen asleep, she was given another injection to euthanise her, to end her suffering. Read the ice cold facts about the $16 billion zoo industry in this revealing scholarly paper. President Masis addresses the United Nations. As Botswana goes, so goes the African Elephant. It’s simply a matter of numbers. With a herd numbering approximately 350,000 members, Botswana has more Africa elephants than any other country. That is about half of all African elephants. Therefore, the government’s policy of protecting their elephants will largely determine the fate of this magnificent species. Although it has been banned for many years, will the Republic of Botswana once again allow hunting? Will the Botswana Defense Force be allowed to continue their deadly vigilance against poachers? We are discussing these issues with His Excellency, Mr. David Newman, Botswana’s ambassador to the United States with whom we have a good working friendship. Botswana’s new president may introduce culling to decrease their elephant herds. According to South Africa’s news24, “Botswana launched a review on Wednesday of a 2014 hunting ban imposed to reverse a decline in elephants and other wildlife. “The prohibition on big game sports hunting was the work of ex-president Ian Khama, a keen conservationist, to shield species decimated by hunting and habitat loss. 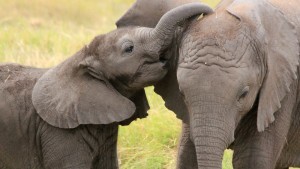 “But lawmakers from the ruling Botswana Democratic party have been lobbying to overturn the ban, especially on elephant hunting, saying populations have become unmanageably large in parts – placing the animals on a collision course with humans. “Khama’s successor, President Mokgweetsi Masisi, launched a month of nationwide consultations on Wednesday that could ring in the end of the ban. “Consultations with different interest groups, in the tourism hub of Maun, ‘commence this afternoon,’ Rural Development Minister Pelonomi Venson-Moitoi told AFP. “The review comes five months after Khama relinquished power to Masisi, and just days after a wildlife charity said about 90 elephants were slaughtered for their tusks in Botswana in recent months. “Masisi’s government rejected Elephants Without Borders’ claims of a pachyderm massacre. 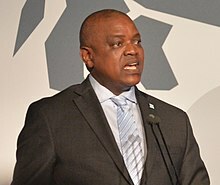 Botswana’s new president, Mokgweetsi Masisi, has not changed the nation’s position of defending elephants and all wildlife from poachers. Although it has been bandied about the media that President Masisi is not tough on poachers, ElephantRescue.Net has learned from the most reliable and trusted sources within the government of Botswana that this is pure rhetoric. 1. Botswana’s anti-poaching teams were outfitted with arms of war, which they were technically forbidden by law to use. This caused a diplomatic spat with neighboring Namibia. It seems the Botswana Defence Force anti-poaching teams gunned down a considerable number of alleged poachers believed to be Namibian nationals. President Masisi merely sought to address this issue and proceed with lawful practices. 2.The Botswana Defense Force anti-poaching teams have not been disarmed. They are simply not using weapons of war at this time. 3. 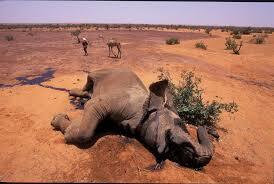 It was alleged that 87 elephants were killed because the anti-poaching teams were disarmed. 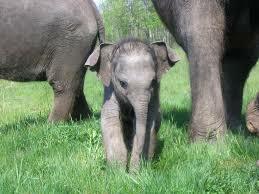 The carcasses of the elephants in question, however, died of natural causes or were killed over a period of two years. These false allegations have been an affront to the famed members of the Botswana Defense Force, one of the most respected armed forces in all of Sub-Sahara Africa. It has caused alarm among wildlife conservationists around the world. And, it has wrongfully questioned the integrity of President Masisi. One can’t help but wonder if these aspersions are nothing more than political innuendos meant to cast of shadow of doubt about the new president’s leadership. Without further speculation about this, we may rest assured that Botswana’s stance against poachers remains unchanged. The new president may have a different approach to protecting the elephant herds of Botswana. For the last two years, we have fought to save 100 elephants in South Africa from bing shot dead by hunters. We were sanguine about rescuing them because of our superb relationship with the Republic of Botswana. Now that may have all changed. The former president, His Excellency Serêtsê Khama Ian Khama, was sympathetic to our rescue efforts and helped us establish rapport at the highest levels of the his government. Because of his generous assistance, we were able to arrange for a new range land within Botswana where the elephants would be relocated. The precise latitude and longitude were determined. Logisitcs were being considered and planned. The finest wildlife team members possible were being assembled; these were professionals with decades of experience in the translocation mega fauna. But with the new administration came new minsters and officials. And so, all of our contacts are gone. This is significant because of a dynamic called TIA (This Is Africa). Even in Botswana, the finest country in all of Africa, TIA means that everything takes more time and effort than in non-African nations. Moreover, His Excellency, President Masisi may not want another 100 elephants in Botswana where the overpopulation is often problematic. Thus, after two years of hard work and diplomacy, it appears that we must start again from scratch.